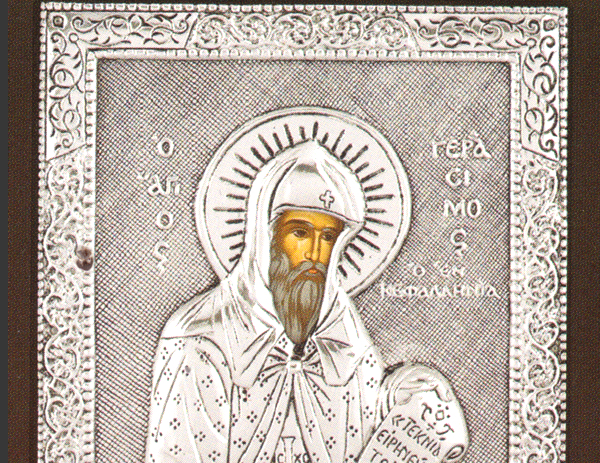 Saint Gerasimos of Kefalonia is the patron saint of the island of Kefalonia in Greece. Gerasimos (1506–1579) was ordained a Monk at Mount Athos, went to Jerusalem for 12 years, spent some time in Crete and Zakynthos and in 1555 arrived on Kefalonia. He is believed by natives of Kefalonia to protect them and to also heal them of illness. Many natives of the island name their children after Saint Gerasimos as a tribute to the saint who protects them.